Disclosure: This post is brought to you by Silhouette of America. Easter is just around the corner! Do you host a big Easter egg hunt at your house or do you gather with friends and family after church? 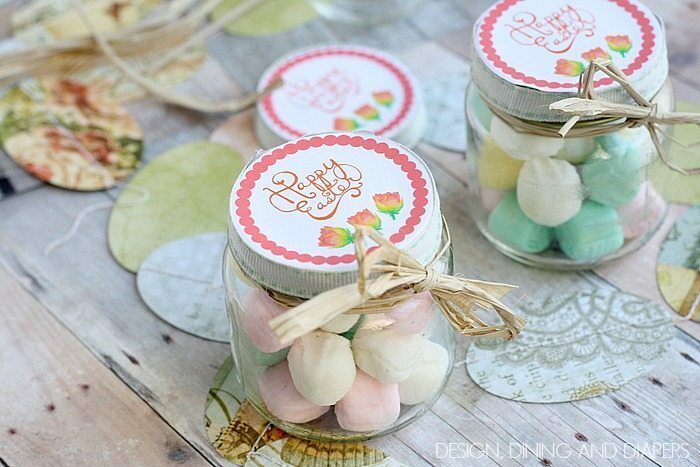 I’m sharing some Easy Easter Favors Using Baby Food Jars. Hide with the eggs or simply give them out to your guests. 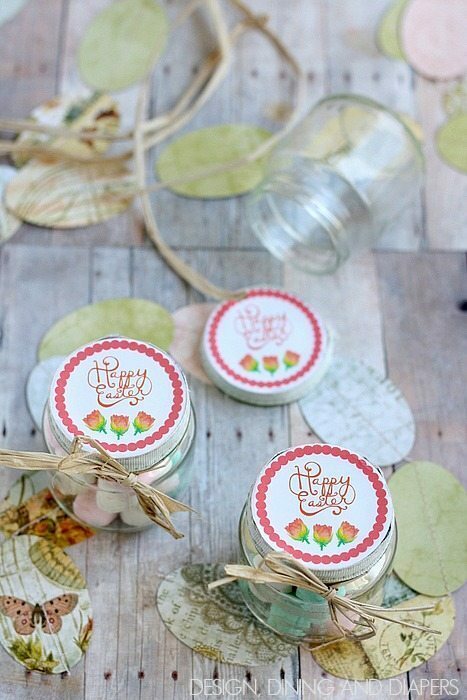 These favors took no time at all using the Print and Cut feature on my Silhouette Cameo. 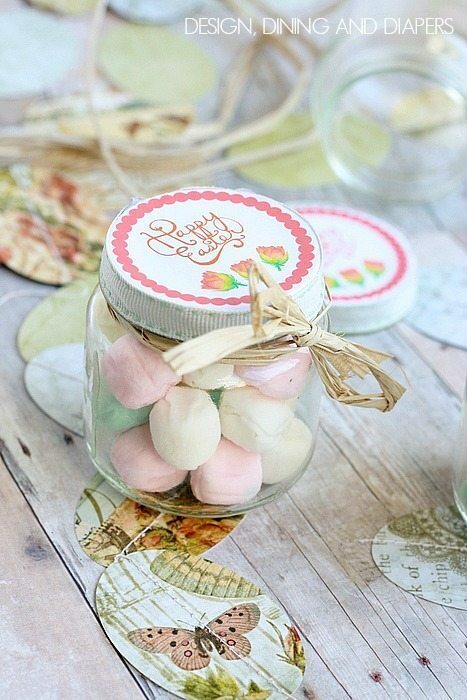 These favors are super easy to make. Even if you don’t have a Silhouette you can still fill baby food jars with pastel dinner mints and decorate the lids with ribbon and a little raffia. Cute and inexpensive. You can’t beat that! Besides making stencils, using the print and cut feature on my Silhouette is my next favorite thing! 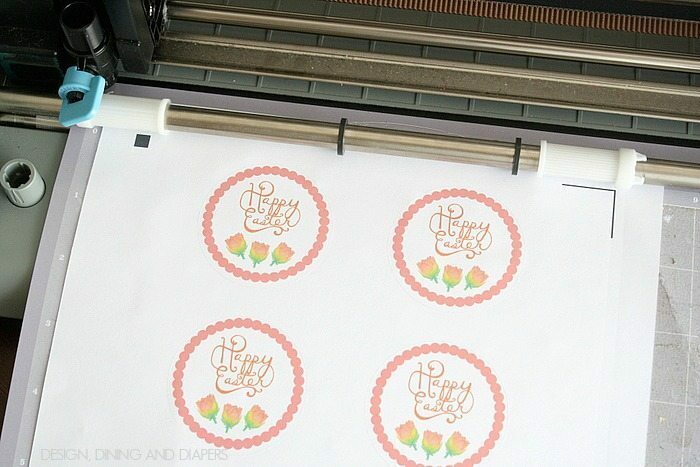 It is so easy to design and make adorable labels and paper decorations for parties and events. 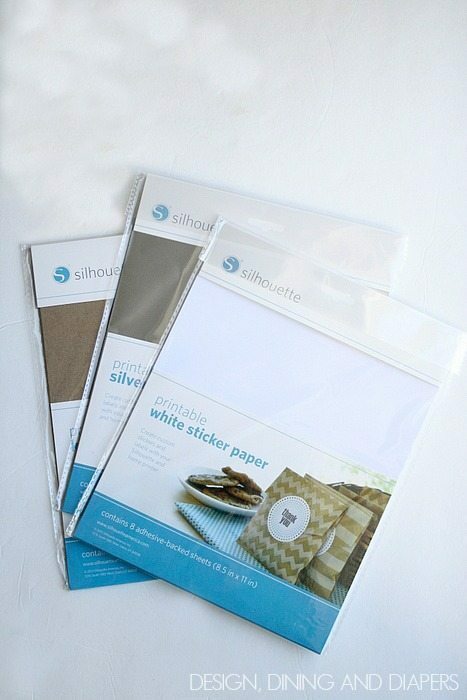 Silhouette has a ton of fabulous specialty paper on sale right now. I’ve used all three of the ones in the picture and they are all great! I keep them all in stock. For this project I used the basic white adhesive paper. 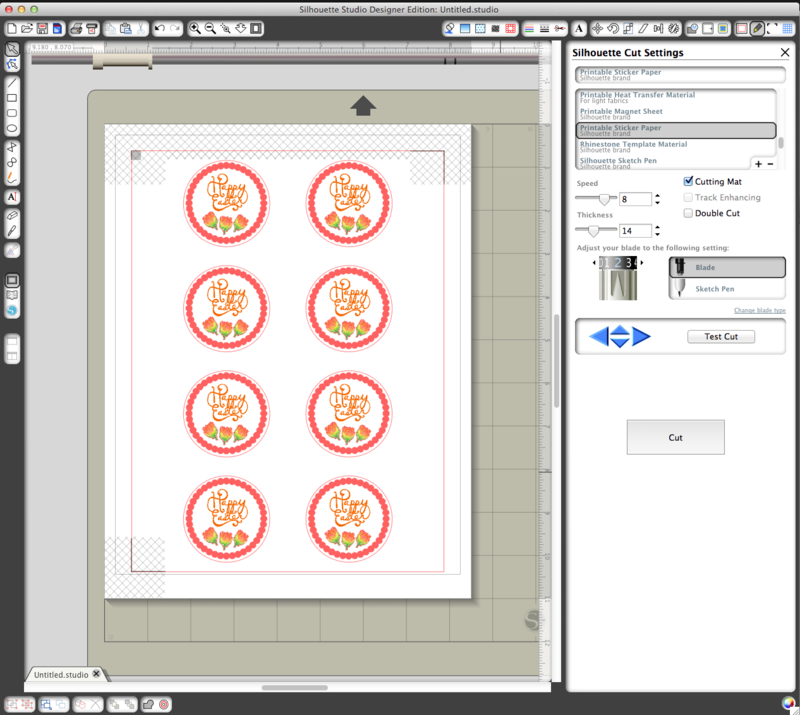 To use the print and cut feature, you first want to create your label design. 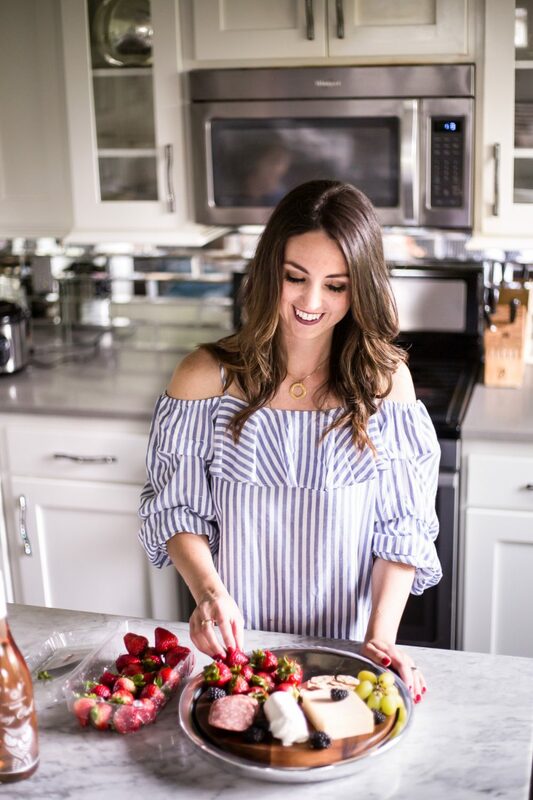 I used a combination of a few free downloads I’ve collected over the years (don’t forget to download them every Tuesday!). Like this Happy Easter Sign and this Lotus Flower (can’t find in store anymore). Then I added a scalloped boarder. After you finish your design, you want to make sure you select all and then click ‘no cut’. This way you will just be printing the graphic and not cutting each individual piece. 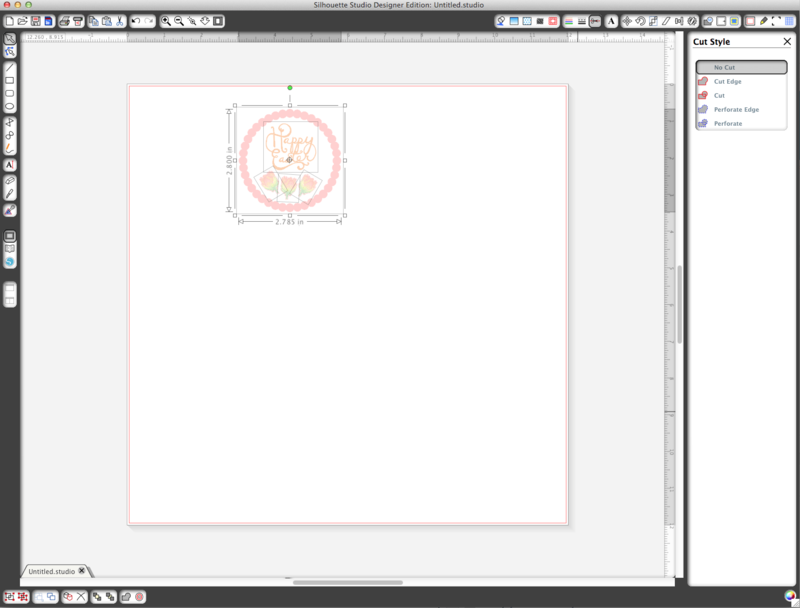 *Note: I added a basic circle around the design and set this shape to cut. 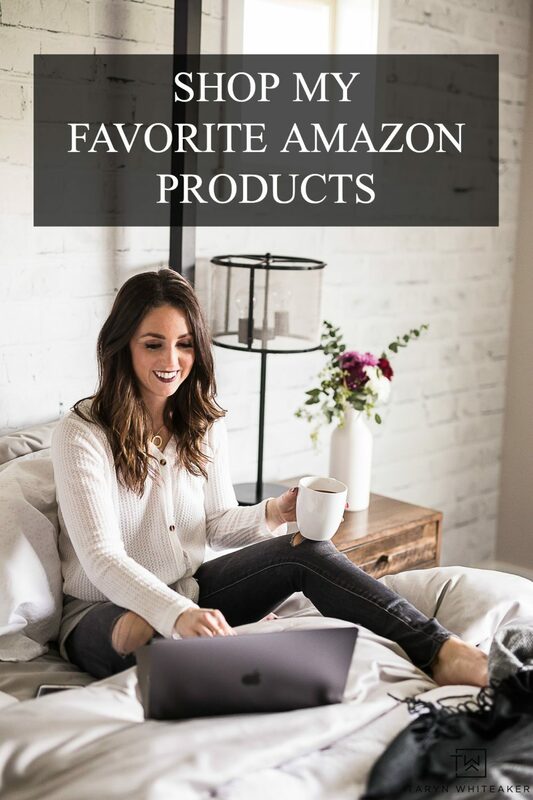 Then, you need to get your page all set up. Change the page settings to 8X10 and then make sure you click “show registration marks”. This is what allows the machine to read where to cut on the paper. Feed the adhesive paper into your home printer. Print. Then place it onto the cutting mat. When cutting the design, click ‘detect registration marks’ and then click continue and the machine will do the rest. Now fill and decorate your jars and you are set! So cute Taryn!!!! LOVE them!